An ever popular second residency or citizenship option lies within this beautiful Mediterranean island. The Maltese Residency and Citizenship Investment programs are designed to assist in continuing the growth of the Maltese economy by attracting international investors. As a politically stable country, with excellent tax advantages, Malta offers those seeking an alternative residency or citizenship an excellent opportunity. For those seeking second citizenship (passports) The Maltese Citizenship by Investment Program is the first European Union approved citizenship program to be launched in Malta and it offers a citizenship option to foreign investors from outside of the EU. The Maltese Global Residence Program. Maltese Residency and Citizenship Investment programs allows for second citizenship and residency by investment from the likes of international business people, investors, VIPs as well as affluent citizens worldwide to secure an additional citizenship. Obtaining either residency or citizenship by investment in Malta provides you with a powerful tool for international tax planning and a safety net should the living conditions at home become unbearable. Let’s commence our discovery of Maltese Residency and Citizenship by Investment by gaining an understanding of the capital requirements. As with all residency and citizenships programs offered, you will need to be able to commit to certain financial investments. Below we give you the headline figures. Please note you should obtain a personal service offering from us that details all costs based on yours and any families specific circumstances. The Malta Individual Investor Program (IIP) requires a one-time investment of approximately EUR 880,000 plus legal fees. The Global Residency Program (GRP) requires an annual expense of approximately EUR 24,000 every year to avoid expiration. The first MRVP investment option is a once off, non-recoverable expense of EUR 160,000 plus a EUR 10,000 annual property lease for 5 years (a property purchase is also acceptable). Before we delve into greater detail on both the Maltese Residency and Maltese Citizenship by investment programs let us explore a little more about this incredible country. This truly unique island has been a full member of the European Union since 2004 and is Europes smallest economy. Malta is a popular holiday destination with excellent air links, but it is also an attractive place to live or have a second home. As the country is a member of the EU and the Schengen area, Maltese residents can travel freely within the Schengen zone and make use of the free trade opportunities within the EU. Home to 412,000, this archipelago is truly one of the outstanding locations in Europe. Malta is located about 50 miles south of Sicily and comprises of 5 islands: Gozo, Comino, Cominetto, Filfla and Malta itself. There are 2 official languages English and Maltese with most locals being fluent in English. 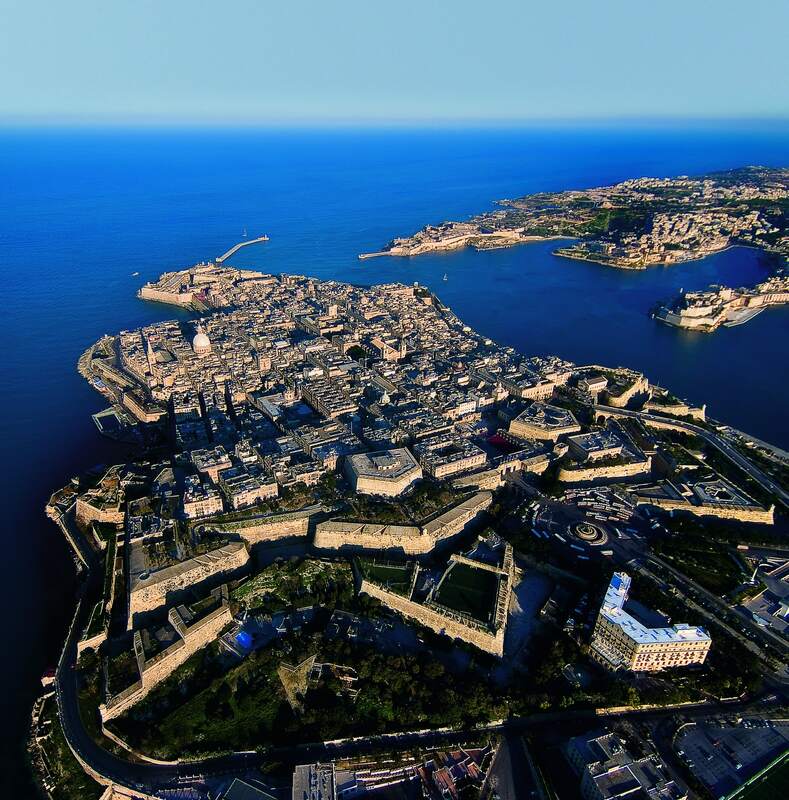 It’s capital city is Valletta, which is one of the most concentrated historical areas in the world according to UNESCO. It can also claim to be the first planned city in Europe and certainly one of the most beautiful. The climate is a dream for both residents and tourists, it’s rainy season only lasts from October to February and is also the lowest rainfall rate in Europe. Temperatures tend not to fluctuate greatly and are generally lowest during December to March at around 14 degrees and in peak summer hitting the high 20’s. Education is highly valued in Malta and, as a result, the island enjoys excellent standards within this field. Drawing many influences from the British education system, school is compulsory for all children aged over five, remaining so until they are 16. Malta also has several higher education facilities, as well as a large university that is popular with international students. Children under the age of five are catered for by a number of private nurseries and kindergartens. When it comes to choosing a primary or secondary school, residents of Malta have three choices. Church run schools however, the demand for these places is high and there is usually an annual draw for admission to these schools. A number of excellent private schools that often have smaller classes and offer more individual attention to the children. The fees are generally very reasonable and are normally payable per term. The “Malta Individual Investor Programme (MIIP) rules provide for affluent persons of impeccable standing and repute to be naturalised and to receive Maltese citizenship on the basis of a contribution to and investment in Malta. Suitable for – Those seeking to obtain a second citizenship option whether they are seeking to bring either of both of their family or business affairs to an EU country. Note that the Malta IIP is open to EU/EEA nationals as well as non nationals. Validity Period – Citizenship granted through this programme is valid for life and it is passed on to future generations by descent. The right to live, work, study in any of the 28 EU countries including Norway, Iceland, Switzerland & Liechtenstein. The citizenship by investment program has been EU approved since February 2014. Unmarried dependent adult children under the age of 27. Note all descendants are automatically entitled to citizenship thereafter. Stable political system and high standards of living. Full EU citizenship from a stable, neutral and highly respected country. Obtain your EU Passport within 12-15 months. No military service requirments, no language tests, no business experience and no citizenship tests. No requirement to live in the country after citizenship is granted. Smooth application process normally approved within 3-4 months. No taxes apply unless you are tax resident. 1. Contribution to the National Development Fund. The main applicant must make a contribution to the national development fund of EUR 650 000. An additional contribution must be made for the spouse and each child over 18 years of age of EUR 25 000 per person. Any applicants included that are children between the ages of 18-26 (only if they are financially dependent on the main applicant and are not married) see an additional contribution of EUR 50 000 per person. Dependent parents over the age of 55 may be included at a contribution of EUR 50 000 per person. An investment of EUR 250,000 must be made and it will be held for 5 years. After the 5 years the full amount is returned to you. The purchase of a residential property with a minimum value of EUR 350 000. This must be held for 5 years and cannot be rented out during this time. 2. The lease of a residential property with an annual rental of at least EUR 16,000. Again this will need to be held for 5 years and cannot be sublet. Is the subject of a criminal investigation. Is a potential threat for the security of the nation. Is involved in an activity which could cause disrepute to Malta. 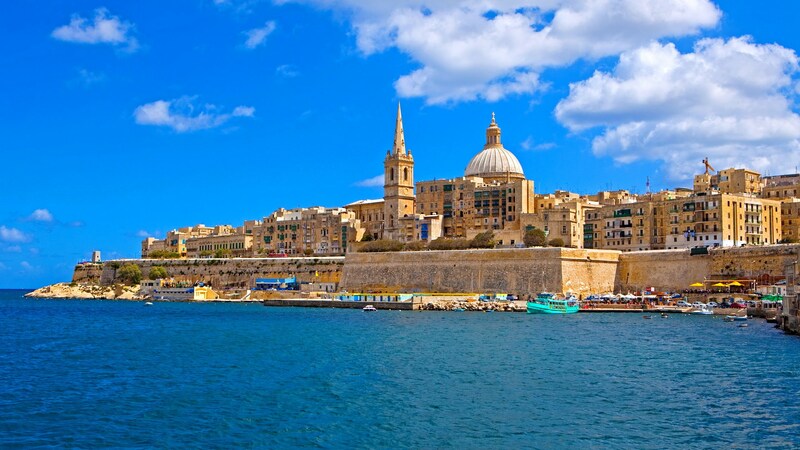 Has been denied a VISA to one of the countries which Malta has visa-free travel. The applicants must have clean criminal records. A valid global health insurance policy with medical expense cover amounting to a minimum of EUR 50 000 per family is a strict requirement. Certificates of naturalization will only be issued after applicants have held legal residence in Malta. The Maltese Residence and Visa Program. Applicants under this program will need to make an investment into a combination of property and Government bonds. Importantly it has no physical stay or language requirements. The Malta Residence and Visa Programme was introduced in 2015 and allows for qualifying third country nationals (excluding EEA and Swiss nationals) to obtain the Malta Residence and Visa Programme, which grants a Certificate of Residence in Malta for an indefinite period. Suitable for – applicants prepared to invest into property and government bonds who wish to not take up physical residence. Validity Period– 5 years residence but renewable for an indefinite period. An EU residence card which provides for visa-free travel within the Schengen area. The right to reside indefinitely in Malta. An initial 5 years’ permanent residence which is renewable indefinitely. An investment that is only required for first five years. Taxes only applicable on Maltese source income and remitted income. Provide misrepresentation, false or concealed information in the application. Pose a potential national security threat to Malta or member states in EU. Have been denied a visa to a country with which Malta has visa-free travel arrangements (EU, USA, UK etc) and has not subsequently obtained a visa to the country that issued the denial. Have been associated with business willingly assisting an enemy at war. Are involved with financial fraud in the past. A valid global health insurance policy with medical expense cover amounting to a minimum of EUR 30 000 per family is a strict requirement. The main applicant should be in a position to show that he has a sustainable income to provide for himself and their dependants in the form of either an annual salary of not less than Euro 100,000 per annum, or capital of not less than Euro 500,000. A review will take every year for the first five years, to ensure the Main Applicants wealth has not changed (as on the initial application), that they still has a title to an immovable property in Malta and have retained the required investment and health insurance. The Malta Global Residence Program was launched by the Government of Malta in October 2012 in order to offer foreign investors the opportunity to obtain residence in Malta and to enable foreign investment into Malta. The program is focused towards non EU foreigners who are looking to obtain a Maltese residence. The program requires investors to either purchase or secure a fixed annual rental of a property in order to acquire residence in Malta. The goal is to further attract foreign investment from wealthy business owners and entrepreneurs and bring foreign capital into the country. The legislative framework provides an opportunity for investors looking to obtain a European Union residence with a straight forward application process and minimal requirements. The Malta Global Residence Program requires the investor to make an economic contribution to the country. Following this, and subject to thorough due diligence, background and application procedure checks, the applicants and their families are granted Maltese residence. Suitable For – Non EU foreign investors who wish to be formally recognised as tax residents for Maltese tax purposes. Validity Period – 5 years residence but renewable for an indefinite period. Gain the right to (including family) to live, study and work anywhere in Malta. Residence also allows the investor to spend a maximum of 90 out of every 180 days in any of the Schengen zone countries. 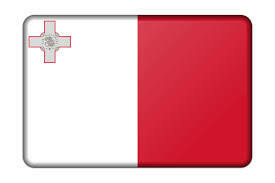 Maltese residents are not subject to tax in Malta on foreign sourced income not remitted to Malta. Nor are they subject to tax on any foreign-sourced capital gains whether remitted to Malta or not. It also offers special tax status by setting the personal tax rate on foreign source income remitted to Malta at 15%. In order to qualify for the residence program, applicants are required to purchase of immovable property with a minimum value depending on where they purchase. If the property is in Central and Northern Malta the minimum is EUR 275 000 and if in Gozo or the South, then the property value must be at least EUR 220 000. Applicants can also rent a property provided the minimum rental is EUR 9600 per annum (EUR 800 per month) if the property is in Northern or Central Malta, and EUR 8750 per annum (EUR 730 per month) if in the South or Gozo.